We have been invited by the Friends of Bankfoot House to the sesquicentenary of Bankfoot House on Saturday 14 October 2018. 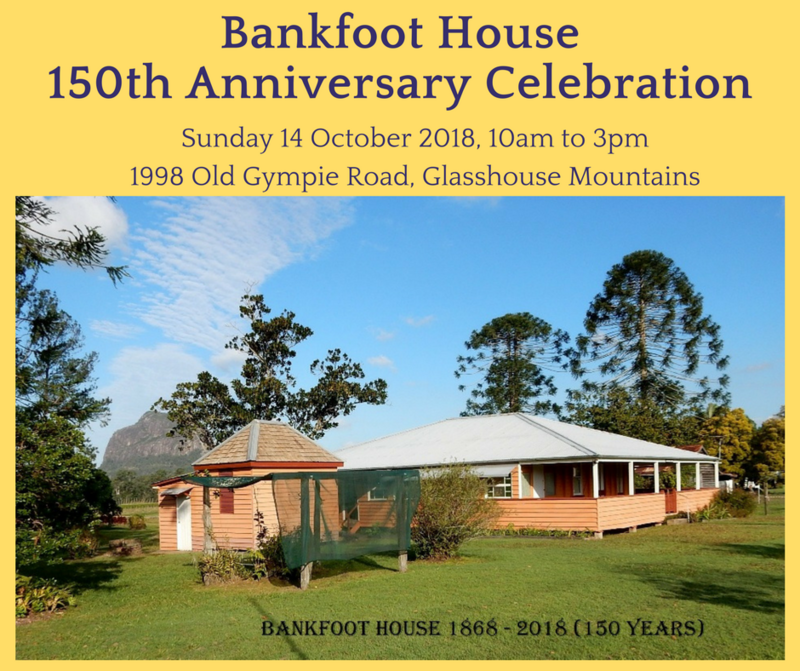 Friends of Bankfoot House and the Sunshine Coast Council are jointly organising the 150th celebrations. Along with heritage displays, food, music, children’s entertainment and more. The Friends of Bankfoot House will be launching their latest book “Bankfoot House – 150 years on Old Gympie Road”. For more information please email friendsofbankfoot@gmail.com. For more events being hosted by others check out the Other Events listed in the calendar.